I am a believer of the adage “You can never go back”. I understand it to mean you can never go back to a place you’ve left and be there in the same way, as the same person, surrounded by the same people, events, feelings, etc. Of course, you can go back: just don’t expect the experience to be the same. 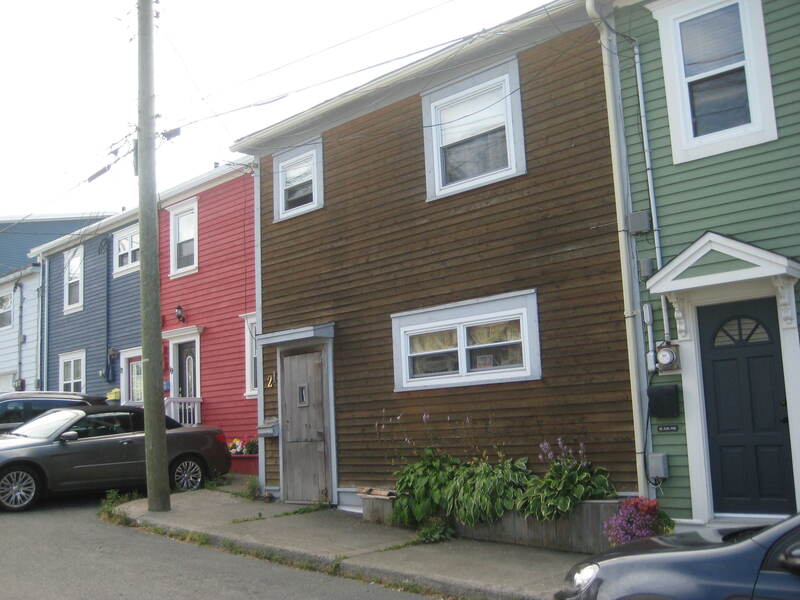 I am learning that here, in St. John’s, Newfoundland, where I lived for two years, from 1991-1993. Those were heady years for me, as a new mother (my daughter was 6 weeks old when we made the 14 hour ferry cross) and for the province, because of the cod moratorium of 1992. 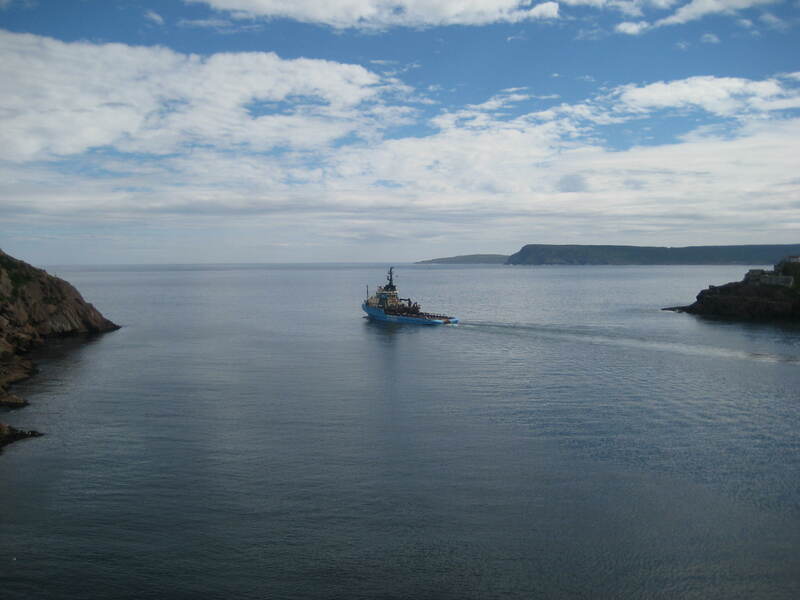 This act closed the cod fishery all up and down the north Atlantic coast, ending a 500 year fishery and putting 30,000 people out of work. Although we were witnesses and bystanders, we couldn’t help but feel for the people who were losing so much and whose lives were about to change drastically. So yes, they were heady years, two years that felt much longer, in which I forged a strong attachment to some people and a fondness for this unique island that would sometimes wash over me in later years as forcefully as if the perpetual Newfoundland wind had reached me back on the mainland, in my native Montreal. Now I know that only the wind hasn’t changed: everything else has – me, the city, the people I once knew. I didn’t come to reclaim anything; I came because that longing for what’s special about this place never quite left me. It’s not a place one can ever forget. 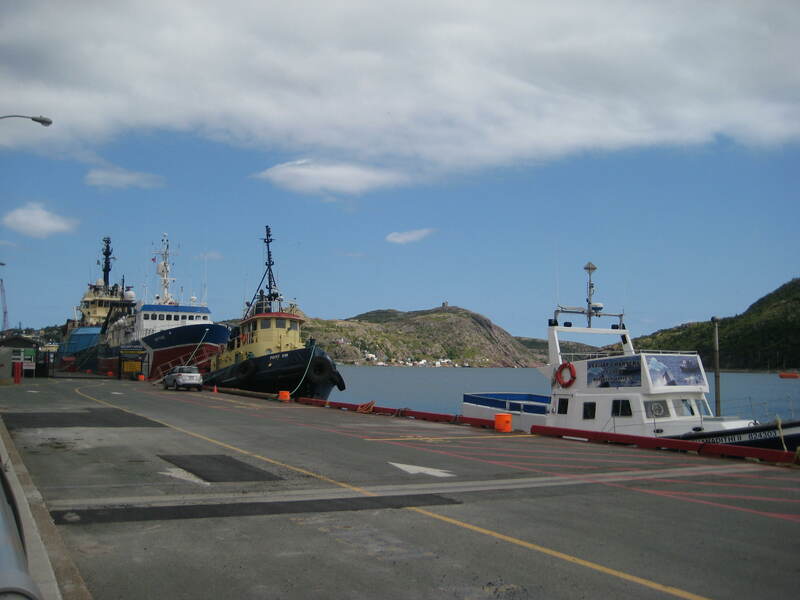 Newfoundlanders, who have had to leave for work in big numbers, know this better than I – just spend a day at the St. John’s airport watching the heartfelt departures and reunions. I was only here 2 years so the attachment I have to the place is small, as tiny as one small wave compared to the ocean of attachment many feel. But it is still real. So it brought me here, not to visit, I have done that often, but to live here again for a couple of months. I’m here to edit a soon-to-be-published novel and to continue working on a new one. 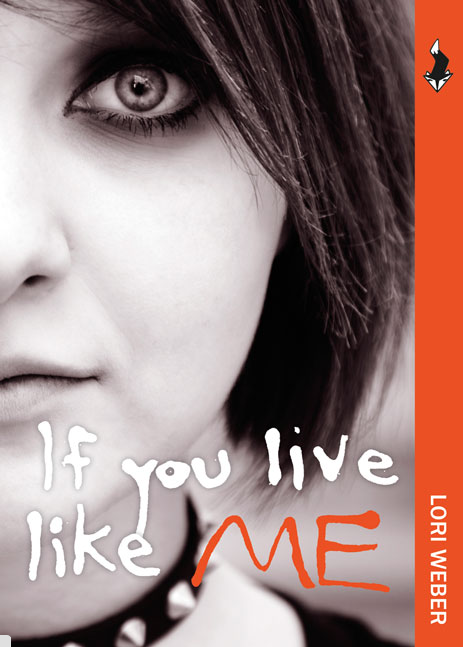 I’m also here to do some promotion of the reissue of my ode to Newfoundland, my fifth novel, If You Live Like Me, which, unlike the cod, was recently resurrected. One of the first walks I took was just down the road to the first house I lived in. It was a tiny apartment, so small I turned sideways in the hallway when carrying my baby for fear of scraping her head. But it was home and it was here that we fell in love with the city. That first walk down the hill, zig-zagging our way and cursing the heavy baby carriage (which was later dumped in favour of a light umbrella stroller), is fresh in my mind. We loved the colourful houses, the view of the harbour, the lack of pretention – the funky and kooky vibe of a place that seemed lively and not worried about first impressions. We later moved upstairs to the bigger flat when the Bulgarian couple moved on. (Many eastern Europeans lived here because they jumped the planes that were refuelling in Gander en route to Cuba). There, we had a deck with a view of The Narrows that was simply magical. Never in our inland upbringings (with only the St. Lawrence River to thrill us) did we think we’d see the ocean from our living room window. I stood down below the old house and waited for something of it to reach out and grab me, to tell me it remembered me and welcomed me back – but nothing did. It was only wood and mortar: whatever it held that was special for me was gone with time, locked up in some ghost version of Carter’s Hill – there in my photo album and memory, but no longer there in time. Not even the clap clap clap of my child’s first tentative steps, taken up on that wooden deck, called out to me. But it was still beautiful and, when I turned back to The Narrows, the force of that view still moved me. But it moved me anew, not in a nostalgic way. Going back to the second home a kilometer west was much the same: touching but not overly profound. I searched for my daughter’s face in the large front window, greeting me home as she used to. But it wasn’t there. The house itself had been renovated, spruced up and redone. In fact, much of the city has changed. Condos are everywhere, as are trendy cafes and expensive restaurants (although I’m told they close as fast as they open). The cod never came back, but offshore oil has brought much prosperity, although that too is now precarious. I can’t say any of this is bad. 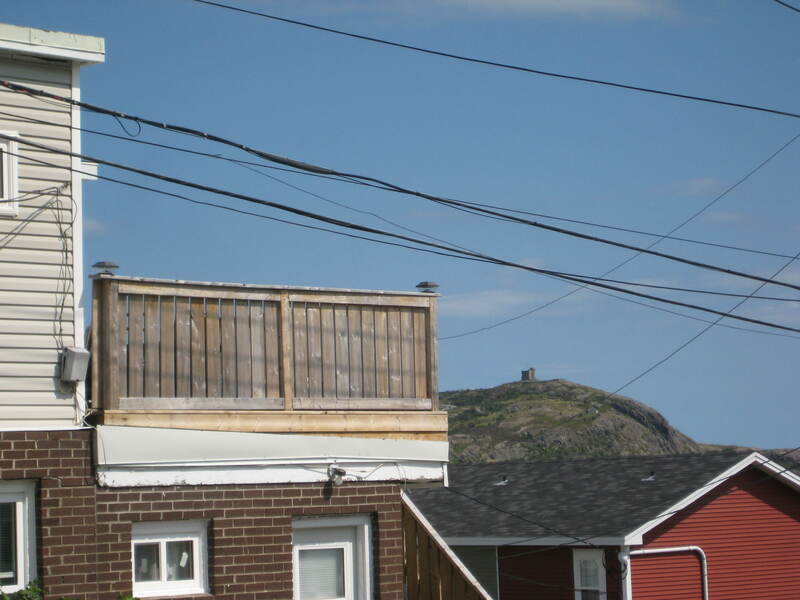 Why shouldn’t St. John’s have what my city is full of? But I do wonder if some of what made this place so special and different has been sacrificed. I haven’t been here long enough to tell and maybe I’m not really entitled to have an opinion on that anyway. The third house that may have held vestiges of my Newfoundland life was the former home of my best friend, with whom I’m staying. In that house, our babies had grown together. They crawled, ate, bathed, fought, kissed, hugged, rolled naked down the backyard hill while we drank beer on the deck and took in the magnificent view of the harbour. The house should have moved me to tears (it would in a Kleenex commercial), but its renovations had rendered it so unrecognizable it left me utterly cold. Gone was the front window where the two had pulled themselves up on the sill to bounce and giggle at passerby. In its place was a high rectangular window that afforded no view at all of the house’s insides. It was a window designed to slap this nostalgia seeker in the face and send her packing. It was a window designed to reinforce the adage, “You can never go back.” And if you do, be prepared for the cold shock that might greet you there. I am an outsider. I was once a tiny bit of an insider. I dipped my toe in the ocean, for a fleeting second. Then I pulled it back. Now, I’m dipping my toe in again. It’s not the same toe, nor the same water. It’s still special, just not the same. The only thing that truly hasn’t changed is the wind.